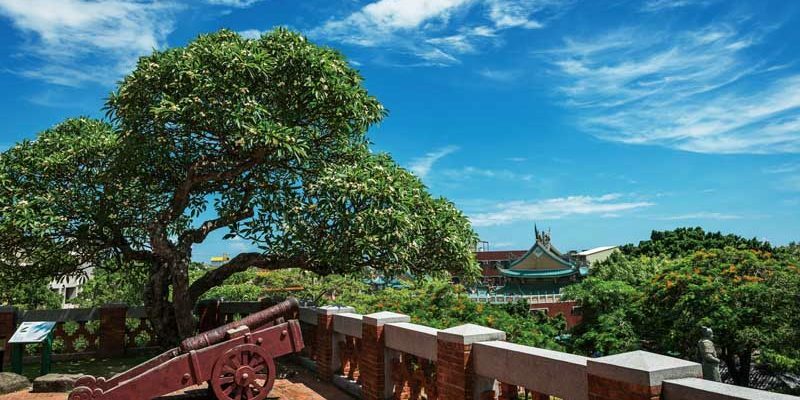 Residents of northern Taiwan are undoubtedly most familiar with the island’s southernmost county of Pingtung as a sunny vacationland whose Hengchun Peninsula is home to the sprawling (333 square-kilometer) Kenting National Park. The adjacent beach resort of Kenting is Taiwan’s premier location for water sports and attracts throngs of visitors for its springtime music festivals. 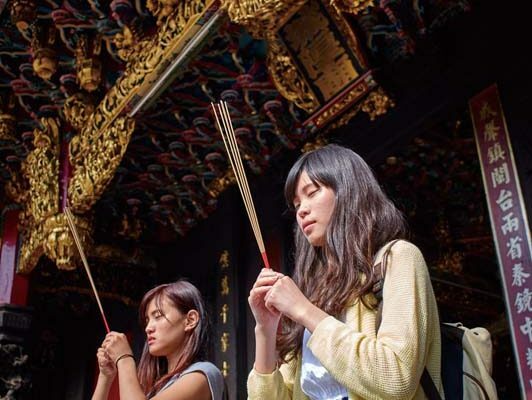 In recent years, Pingtung also gained wider exposure as the setting for the hit Chinese-language movie Cape No. 7 and the filming location for the beach scenes in Ang Li’s blockbuster Life of Pi. Less well-known are other aspects of what Pingtung – a rich California-like mixture of coastal and mountain areas – has to offer as both a tourism destination and as one of Taiwan’s most important areas for agricultural production. 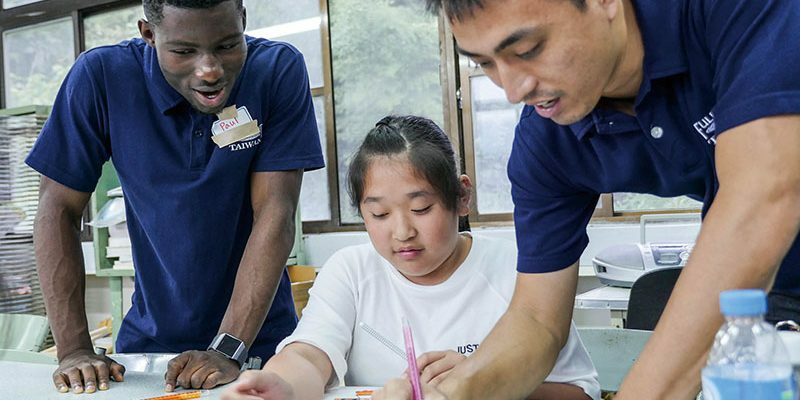 For an introduction to the culture of Taiwan’s indigenous tribes, a visit to the picturesque Rukai mountain village of Sandimen is recommended. 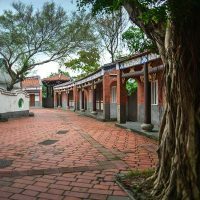 The nearby Taiwan Indigenous Peoples Culture Park is quite impressive, with a fairly comprehensive museum and reconstructed traditional Aboriginal slate houses that give a glimpse into Taiwan’s tribal past. Higher in the mountains are a wealth of historic and cultural sites that guidebooks fail to cover, and knowledgeable local sources say there are still many as-yet unexplored and undiscovered historic sites in the area. 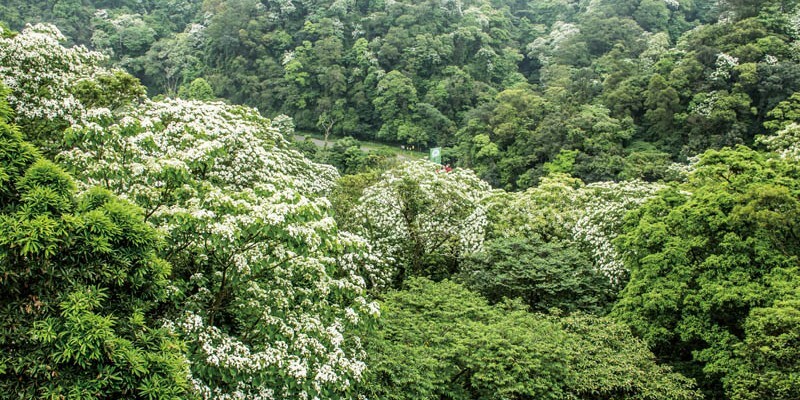 Would-be explorers are encouraged to pick up the Pingtung Culture Bureau’s brochure Ten Gorgeous Scenic Paths, an excellent map of 10 stunning walks. 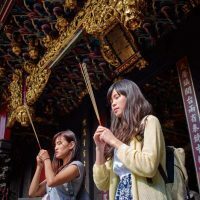 Exploring this region – whether on foot, scooter, or car – offers some of the most intensely enjoyable experiences in all of Taiwan. Wutai is one remote aboriginal village of note, only a half-hour drive from Sandimen. Over the past decade, this village has really blossomed, thanks to residents’ artful and creative beautification efforts. “People have more time now” to decorate, explains Peresang, co-owner of the local Sama restaurant where her sister, a Taipei-trained hotel chef, oversees the kitchen. 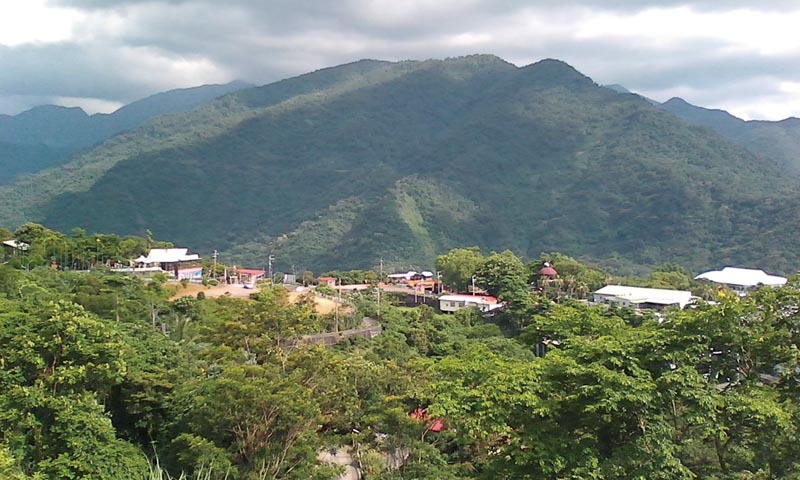 Guesthouses in these mountains – in one case a wood-sculptor’s home – are a bargain (about NT$600 a night). 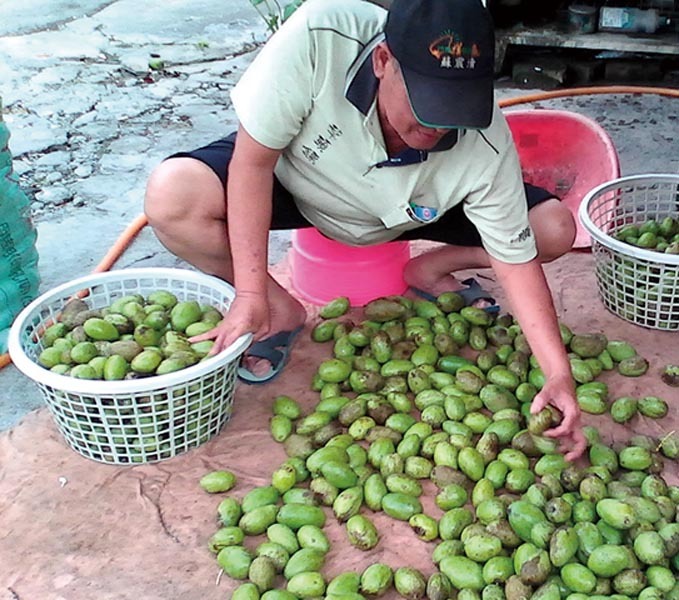 Above all, tropical fruit is really Pingtung’s claim to fame. Thanks to Taiwan’s climatic diversity, a vast array of fruits and vegetables is grown throughout the county, including some not widely available in the West. The massive agricultural production represents a significant contribution to Taiwan’s overall prosperity. Due to the warm weather, Pingtung is the only place in Taiwan where farmers can bring in three rice crops a year instead of the usual two. According to agronomist Yen Chung-Ruey of the National Pingtung University of Science and Technology (NPUST), fruit production accounts for 37% of the total value of the island’s agricultural output (rice makes up 22%). 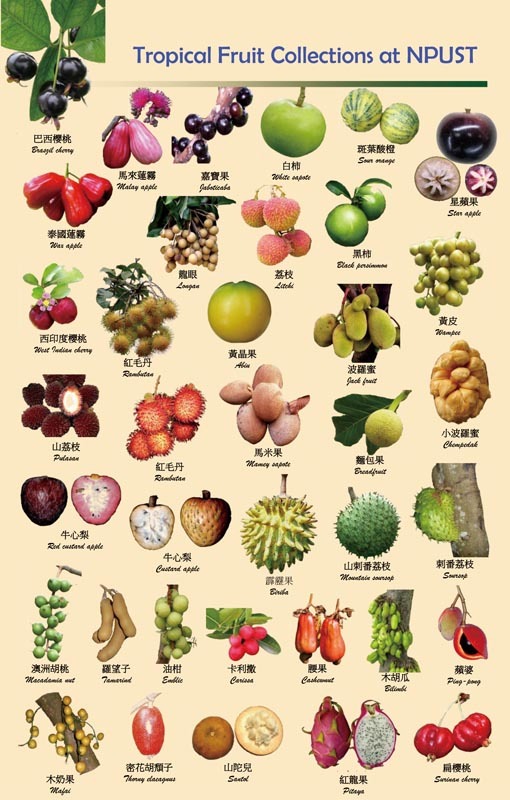 Of the major fruit crops, Pingtung produces the lion’s share of several, including 50% of the papayas, 70% for pineapples, 80% for wax apples, and about 45% of the mangoes and lychees. According to the Council of Agriculture (COA), Pingtung is the top producer of Taiwan’s pineapples, bananas, wax apples, papayas, and lemons, and second-largest grower of mangoes and Indian jujubes. Many of the farm products enjoy good markets abroad. For Taiwan as a whole but with Pingtung as a key contributor, the value of agricultural exports in 2014 (the most recent data available) came to US$5.27 billion, an increase of 3.7% over the previous year, according to COA statistics. Japan is the largest export market, followed by China, Hong Kong, and the United States. Once self-sufficient, Taiwan in recent years has experienced substantial crop destruction due to natural disasters, especially typhoons. Together with increased consumer reliance on food imports, that destruction has resulted in an agricultural trade deficit that amounted to US$10.33 billion in 2014. In response to that trend, the central government has set an objective of raising the national food self-sufficiency rate from 32% in 2010 to 40% by 2020, through concrete measures to promote domestic farming. An example is the government’s “Small Landlords, Big Tenant Farmers” initiative, which has revived 45,000 hectares of fallow land by subsidizing organic farming. According to the program’s website, its aim is to “counteract the aging of the agricultural population and expand the scale of farm operations” by encouraging small landholders and retired farmers to lease their land to tenant farmers. In just a few years, the number of participants and area of farmland utilized for fruit production more than tripled. Between 2010 and 2014, planted areas for fruit orchards alone expanded by 900 hectares and the export quantity increased 25%, doubling the value of fruit exports to NT$2.5 billion. Vegetable exports saw similar impressive growth, nearly doubling during the same period to reach NT$2.6 billion. Fruit growers have had to adjust cultivation and marketing methods to deal with increased competition from foreign imports. Some Taiwan orchards have been designated “agritourism” destinations. At these “leisure farms,” tourists learn about the various stages of farming production and have the opportunity to sample the produce. Yen is known in academic circles as the “Father of Pitaya” in Taiwan. Pitaya, more commonly known as dragonfruit, originated in Vietnam, but are now very popular in Taiwan, with Pingtung as the major area of cultivation. Yen is credited with improving dragonfruit cultivation techniques by introducing nighttime lighting systems to “lengthen the day” and accelerate the rate of flowering. Yen also developed a cultivation technique at NPUST called “forcing culture.” Aiming to produce longan off-season, he discovered that applying potassium chlorate to longan induced it to flower. The transfer of this technology brought the university several billion NT dollars, Yen said, since the small, lychee-like fruit is such an important crop in China. NPUST researchers continue to work on ways to grow fruits year-round, such as bananas (which are highly popular in Japan) and Irwin mangoes, which can fetch attractive prices in export markets. Another of Yen’s many accomplishments is having created the world’s first artificial hybrid lychee, Tainong No. 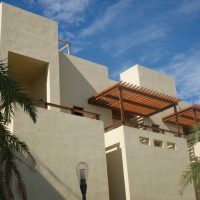 1, in 2008. 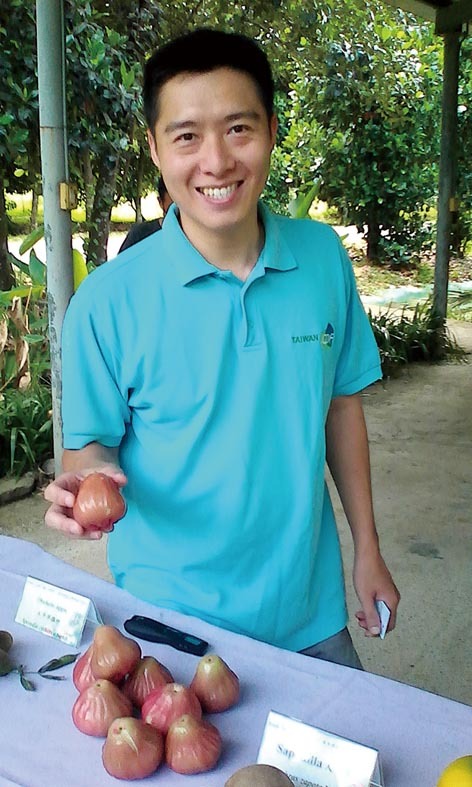 And NPUST graduate student Chiu Zhan-tai won acclaim for developing another major Pingtung cash crop, “Papaya No. 7,” which can reproduce asexually. The strain is potentially highly lucrative, but the university refrained from applying for a patent in order to stress its commitment to the educational value of research, Yen explains. 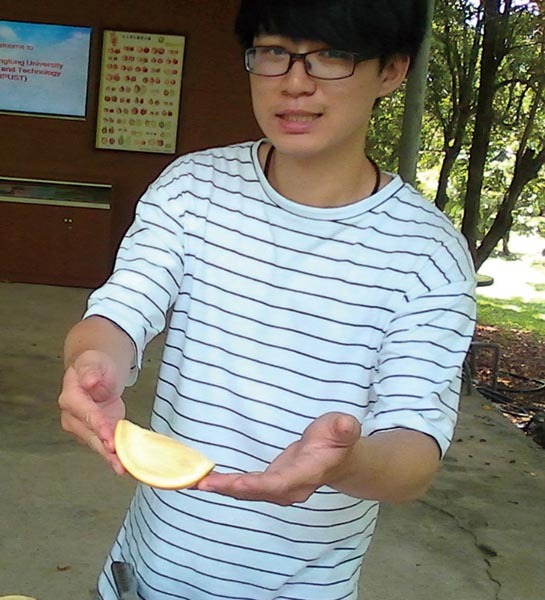 Another NPUST scholar, Tsai Shang-Han, a professor in the Department of Plant Industry, is researching the wax apple. 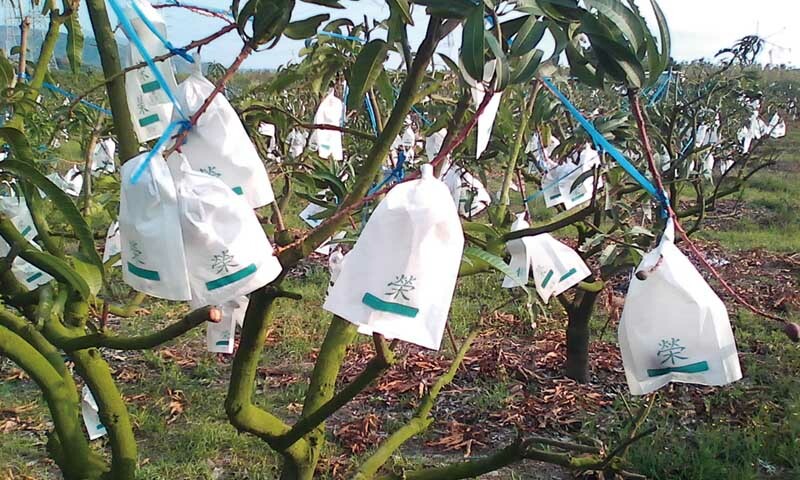 “At NPUST, we ‘major’ in new crops,” Tsai says, describing the task as developing potential new “economic fruits” and devising ways to turn them into viable cash crops. The NPUST research helps Taiwan’s farmers compete with other countries more effectively, he notes. Although it has been written that wax apples – also called bell fruit, rose apples, and jambu – were “invented” in Pingtung, the species originated in Malaysia. Some 20 years ago, Taiwan researchers began breeding harder, larger-sized, and redder-skinned versions of the fruit with the objective of enabling year-round production. Pingtung’s southern coast was found to be an especially favorable location for growing the fruit, which thrives on a little salinity. The latest strain of the bell fruit, the rouge-colored “black pearl” variety, today fetches high prices in the marketplace. Currently NPUST is exploring production of the abiu, a yellow fruit with Amazonian origins that has been described as having a flavor like caramel cream. Sweet and juicy, it is considered to have high potential for production in Pingtung, as it adapts easily to the local climate. Researchers are working on adapting the growing season to allow the abius to reach the market in time for the Mid-Autumn Festival, one of the most important holidays in Taiwan. “Then you will be able see the moon and also eat the moon,” Tsai says, referring to the color and shape of the fruit. Guava may be the next big thing in Taiwan fruit production, adds Tsai, noting its high Vitamin C content – “higher than kiwi fruit,” which is touted by marketers for its healthful aspects. This entry was posted in Travel & Culture and tagged agriculture, pingtung. Bookmark the permalink.